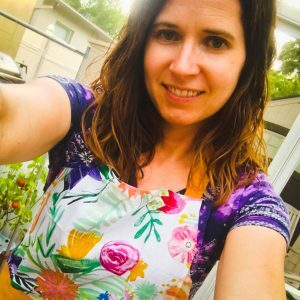 Get woken up (by my toddler… before my alarm goes off). Tell toddler to go back to bed, it is not time to get up yet. Toddler asks if it is time to get up NOW. Convince said toddler that he should go play with his books that read to him. Toddler goes to find said books. Feel brilliant and snuggle down in cozy bed. Toddler comes back because he cannot find the electronic device that does the reading. Roll eyes. Feel bad for rolling eyes at my child but then remember that toddler cannot see this as my eyes are still closed. Remind him it was on the couch last night. Toddler goes to look on the couch. Toddler comes back and says he cannot find it. Tell him to look on the end by the bookshelf. Toddler goes to look again. Toddler comes back and says he does not see it. Mutter incoherent things to which toddler says “what did you say, Mommy?”. Feel around on nightstand for glasses and put them on. Squinting at toddler (cause it is still dark and I hate mornings), slowly get out of warm, cozy bed and walk to living room. 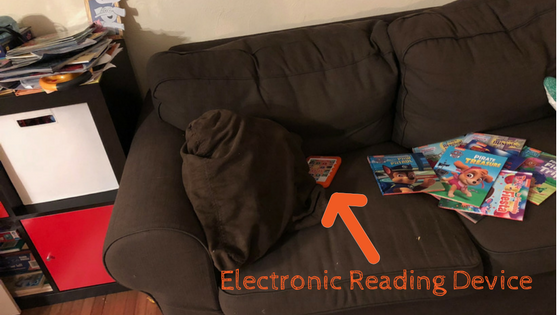 Immediately locate electronic reading pad on couch, which is totally visible from the door, hidden only 5% by a pillow. Go back to warm, cozy bed for just 5 more minutes. Toddler starts using electronic reading device. Loud Paw Patrol story echoes through the hallway and into bedroom, as if amplified by a megaphone. Attempt the old hide-ears-under-the-pillow technique. Realize that pitch of the reader’s voice on electronic reading device can permeate the pillow. Electronic reading device is JUST loud enough impede sleep (and possibly damage toddler’s eardrums). Sigh loudly and give up the dream of more sleep. Start thinking about having toddler’s hearing checked. Get up to go to the bathroom. Toddler comes in the bathroom and says “yay, you are up!”. And continues for an HOUR until we are walking into his preschool classroom. His teacher says good morning to us. Guess he used up his morning ration of words already.